Judging by the number of bad tempered shoppers that have been pushing into me in the streets recently, I’m assuming that the Christmas spirit is well and truly upon us. 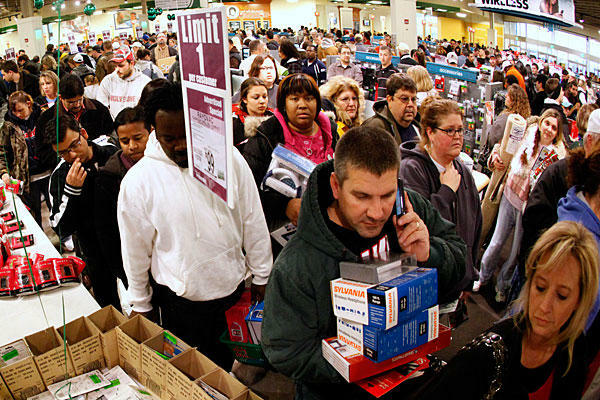 Yes, people have started that nightmare process of buying presents for all those detested relatives that are going to be getting under their feet this Christmas. What to give them and how much can you buy for how little? Well, Wolfie, as always, is here to help. 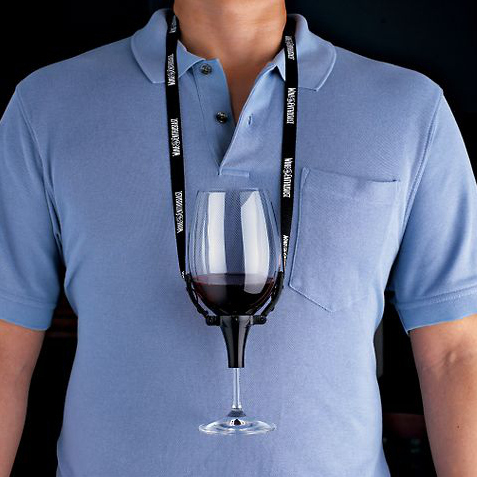 If you have any relatives, like Uncle Ernie, who like a few drinks but who also have wandering hands at parties, this should make them happy. 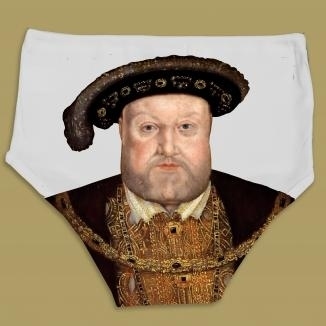 For that intellectual aunt who always has her face in a history book and wants you to know she has the answer for everything, what about these roomy Tudor knickers? Were you told off as a child for your personal cleanliness? Well, this might work as a revenge present for any anally-retentive relative who tried to cramp your style. They might not notice the subtle symbolism. Remember sitting around, bored, on your best behaviour, having tea with a cat-loving relative? I expect you remember getting covered in cat’s hair too. Well, another subtle present. 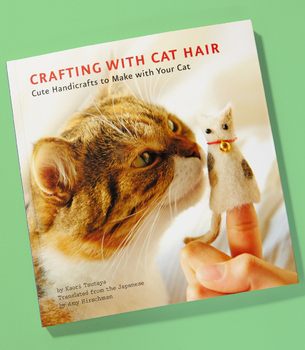 Why not give them this little book and they could turn all that cat fur into something “cute”? They might get the hint too. ‘Don’t forget to eat your carrots.’ Yes yes, we’ve all had that one. 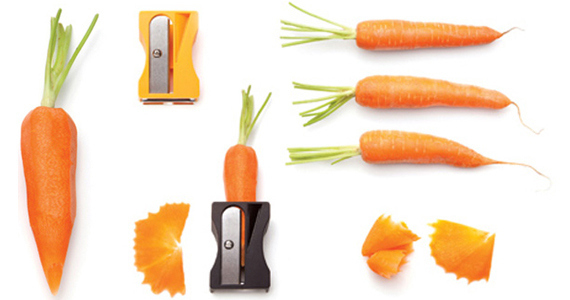 Well, for those carrot-obsessives in the family, ‘they’ll help you see in the dark,’ treat them to a carrot sharpener. They’ll think you really care and they might finally stop going on about it. 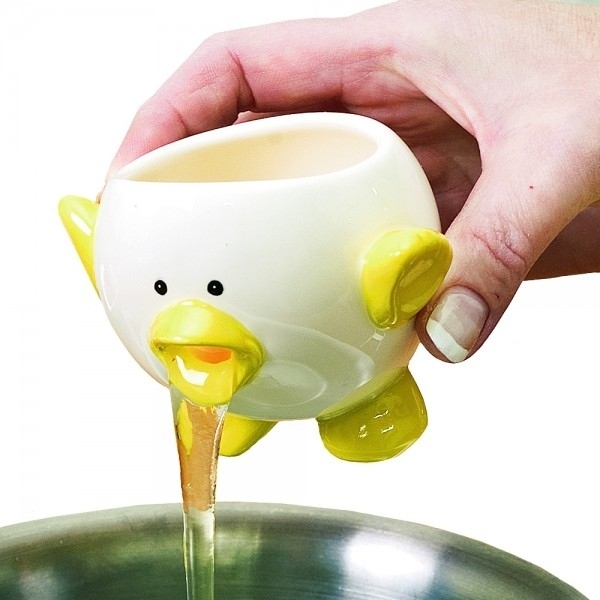 Not a good one for Kate Middleton, maybe, but for the chef in your life who isn’t squeamish about bodily functions, this is a pleasantly disgusting egg yoke separator. If their cooking makes you want to throw up, this might be a useful hint too. You know all those knitting relatives that talk endless rubbish whilst clicking their needles? 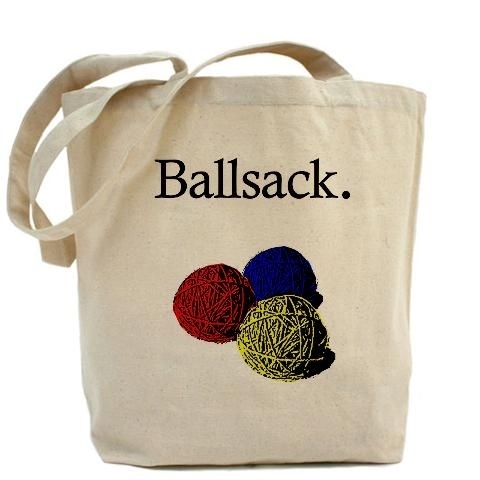 This sack for their balls…of wool might be just the thing. ‘Don’t leave that coat lying around – go hang it up.’ You’ve only just come in and haven’t even had the welcoming hug. We’ve all got relatives like that too. Maybe this little hook comes with a useful message. 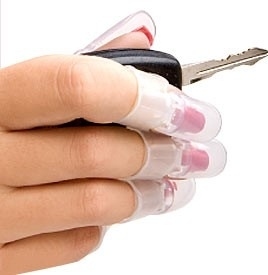 ‘Sorry, can’t help, I’ve just done my nails!’ Well, help your delicately nailed relatives to join in a bit more round the house with those DIY jobs but giving them this handy set of nail covers. And lastly, treat yourself. Who wouldn’t love one of these – a classy-looking plastic beer glass with a froth restoring pump concealed in the handle? Your lager will never go flat no matter how long you stand around sipping it. Ideal if it’s served up flat and disgusting at a Christmas party and you want to pretend you’ve just poured yourself another. If you buy these for your loved-ones, you’ll be able to sit back on Christmas morning and enjoy all the happiness you will have spread. Happy shopping.